Premiere of a Film Documenting Relationships between Israelis and the People of Palestinian Susiya | The Only Democracy? Tuesday, September 28th, brought us at the Villages Group great satisfaction. On that day, we and many of our friends in Susiya had the pleasure of attending the world premiere of the film “The Human Turbine” at the Haifa International Film Festival. Over a period of two years from 2008 to 2010, a film crew headed by director Danny Verete and producer Yehuda Bitton documented the evolving ties between the people of Susiya and the Israelis who visit them regularly activists in the Villages Group and the Comet-ME NGOs. The resulting hour-long film follows the various projects made possible by the cooperation between the locals and the Israelis, projects that include the production of sun- and wind-generated electricity for the Susiya families, plans for aid to local students and for professional training for young women, school transportation for the Susiya children, help and consultation in expanding water wells, and more. The film was well received and viewers described it as deeply moving. 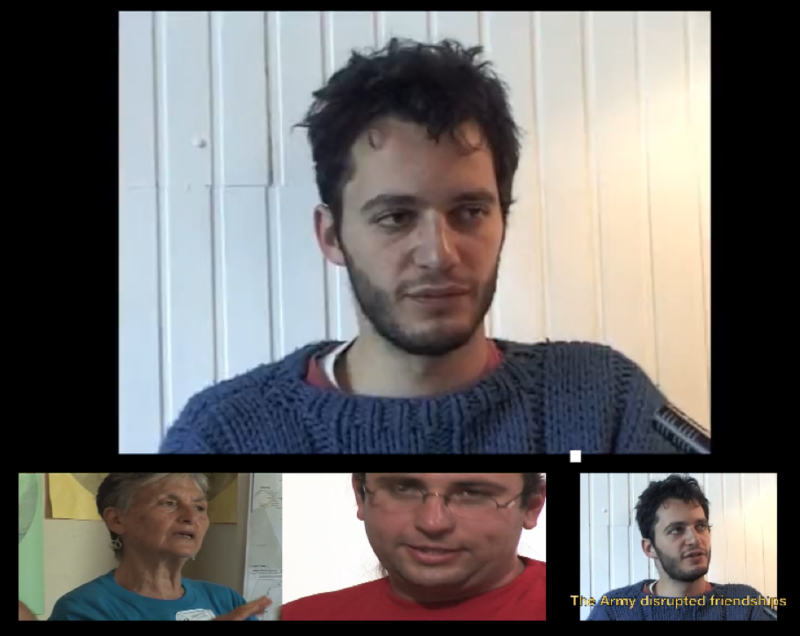 Particularly effective is the film’s close attention to personal aspects of the work being done in Susiya. The filmmakers understood that the success of the projects described above is tied inexorably to the personal relations that have developed over the past several years between local residents and the Israelis. We were fortunate to be able to invite almost twenty of our Susiya friends to join us for the premiere in Haifa — in spite of a general closure which totally prevented Palestinians from crossing the checkpoints to Israel for 10 days during the Jewish holiday of Sukkot. This was made possible by an invitation from the filmmakers and by our friend Buma Inbar, who obtained the special crossing permits. Following a lunch at the Haifa beach, we took in the panoramic view from atop Mount Carmel, and then watched the film together with our family members, the filmmakers, and other friends and guests. At the final event of the Haifa Film Festival, the film “The Human Turbines” received an award on behalf of the Other Israel Film Festival in New York. 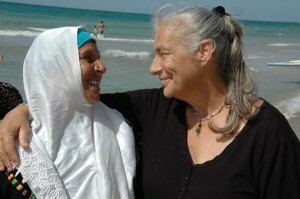 As the Jury of this competition stated: “The film provides a rare glimpse in a world where humanity, compassion and cooperation provide hope for a different life in the complicated reality of the Middle East.” The film “The Human Turbine” is expected to be shown soon on Israeli TV’s Channel 8 and in other venues. We will keep you informed regarding opportunities to view the film, and we also hope to be able to send copies of the film, especially to our friends abroad.